Looking for a fun way to surprise your teenagers this Easter? How about an Easter Egg Hunt for Teenagers full of Eggstravagant puns and FUN! Easter For Teenagers is sure to be a hit with egg puns and Easter Printables! Let’s make those teenagers work Eggstra hard for their Easter Surprise! Okay, okay, I’ll stop! I’m just so Eggstatic. Whoops! Purchase an Easter Surprise for those teenagers! You will find a few ideas at Easter Gift Ideas For Teenagers or Easter Baskets For Teens. 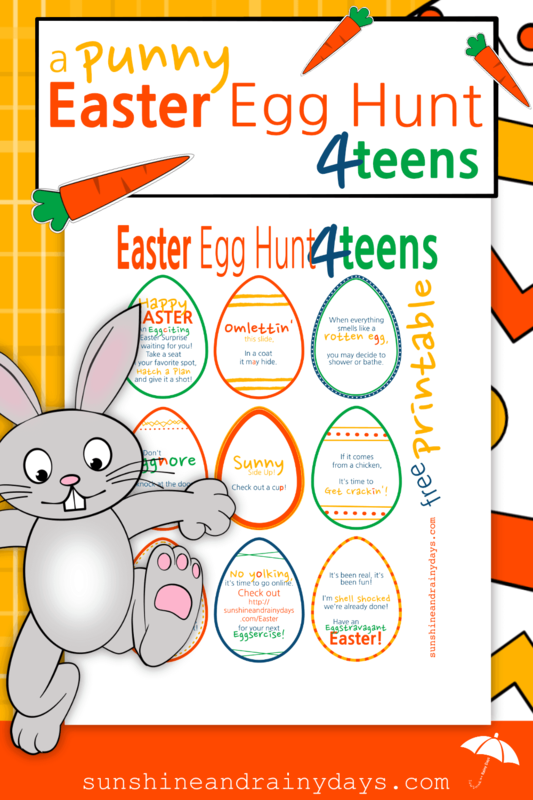 Print the Easter Egg Hunt for Teens free printable! Print the Easter Egg Hunt for Teens Cheat Sheet. Oh, you’re going to need this! Just trust me! Early Easter morning, hide the paper eggs in designated spots (so easily provided on the Cheat Sheet) or put the paper eggs in plastic eggs with a treat or two! Place your teenagers’ Easter Surprise in the laundry room. It’s Eggsplosive, it’s Eggceptional, it’s just so Eggciting! I don’t mean to Eggsaggerate, but get ready for some Eggstra FUN that your teenagers can’t Eggnore! Omlettin’ you know, our teenagers are worth the whisk! They’ll be shell shocked and scrambled and that’s cracking good! No Yolking! Oh my goodness! I’m done! Want to make up your own rhymes that are not perhaps so, ahem, punny? You’re in luck! 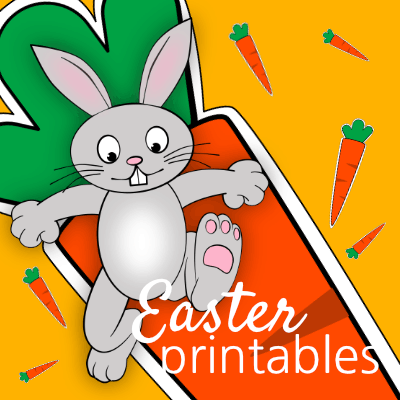 Sign up to get emails from this here awesome blog and we’ll give you access to our super secret free printables library with these very same eggs only, blank! Lol! You crack me up, Kay! Where are you blogging lately? I can’t fiiiinnnd yooouuuu! These are great teen Easter ideas! My 15 year old will NEVER guess the laundry room. Yay! I’m so happy you like it, Lisa! Happy Easter! Just an FYI, I had to use your cheat sheet as for the unscrambled words as you have too many “H”‘s accented and no “A” so the accented letters wouldn’t unscramble to the password of POACHING. Might want to adjust your printable 🙂 Thanks for making this though, it will be fun!! Oh goodness! Thank you so much for pointing that out! The PDF is changed now, hopefully there won’t be too many confused teenagers tomorrow! I am trying to plan an Easter egg hunt for my teenage nieces and nephews so I pulled up your website, unfortunately I don’t understand how this works, can you explain? Hi Nan! What a fun Aunt you are! This ‘Punny’ Easter Egg Hunt is meant to be done together as a group. For example, my two teenagers found the clues together. You can find where to place the clues on the Cheat Sheet above! Click on the picture of the Cheat Sheet to print a copy!